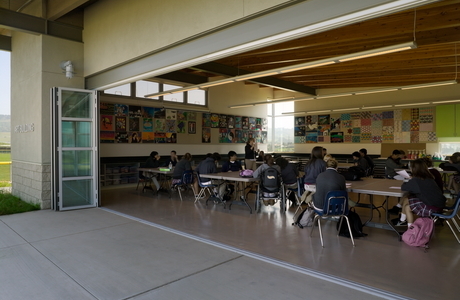 The Saint Francis Central Coast Catholic High School, which opened in 2002, needed to be designed in a way that would be appropriate to the pedagogical method set forth by the Order of St. John Bosco. WRNS Studio, the firm tasked with designing the project, set about programming a space that would make the best use of the spectacular countryside views while embracing a central tenet of the Salesian student-teacher relationship: transparency. 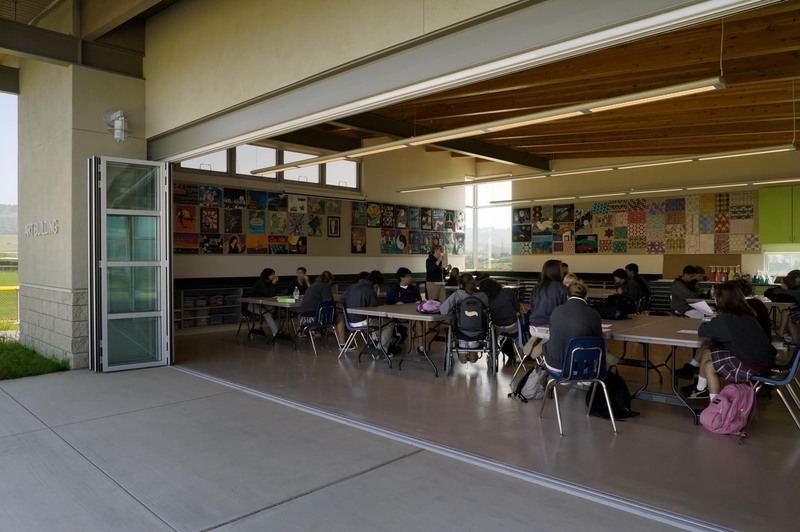 "The project called for an art classroom that utilized an outdoor patio for teaching space," recalls Adam Woltag, AIA, LEED AP, project designer for St. Francis. The project also called for a high level of sustainability. Ultimately, the firm elected to install NanaWall's SL70 Thermally Broken Aluminum Framed Folding System, which now represents a major portion of one of the walls of the high school's arts and sciences center. 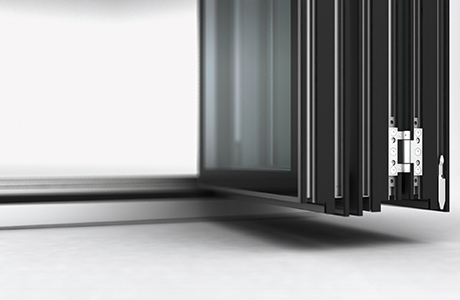 As for specifying NanaWall rather than another product, Woltag explains, "All other window wall systems we considered were complicated, inflexible and did not support our design goal." 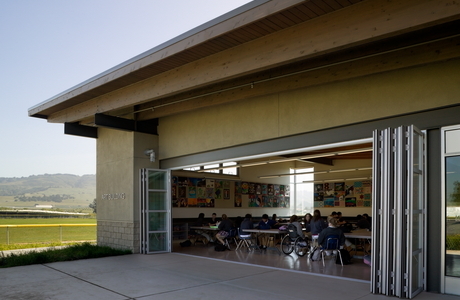 Not only does the NanaWall folding system support the concept of transparency among scholars with literal transparency — as do many of the design's interior walls, providing visual connections among separate spaces — but the thermally high-performing wall adds significantly to the passive energy strategy integrated into the facility. The SL70 offers contributions to the natural daylight, heat gain control and natural ventilation components of this strategy. Located in Watsonville, California, a town in Santa Cruz County known primarily for agriculture , Saint Francis Central Coast High occupies a beautiful farm site nestled among low-lying mountains. 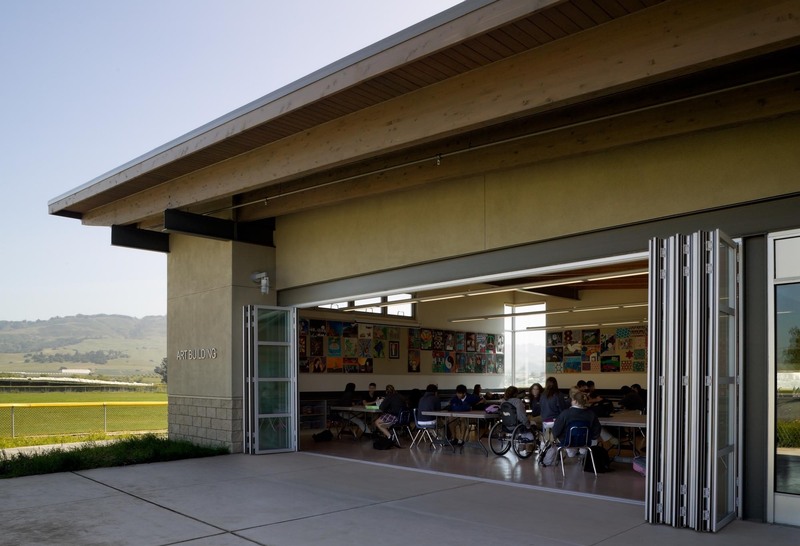 With rich vistas available, the necessity of transparency in the school design became even more compelling from an aesthetic standpoint. To deliver the proper passive energy strategy, the design called for heavy block walls on the south and west sides, and near complete transparency for the north and east elevations. NanaWall's contribution to the art studio enclosure serves as a large portion of this transparency. As for specifying NanaWall rather than another product, Woltag explains, "All other window wall systems we considered were complicated, inflexible and did not support our design goal of an integrated window wall that completely opened to the outdoors." 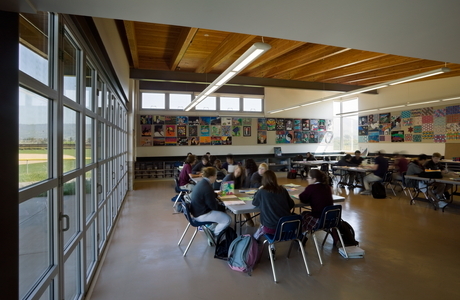 Teachers and students have the opportunity to occupy the patio beyond the NanaWall folding system, or enjoy an open wall room for study, with fresh air and views for inspiration. And in inclement weather, or during the colder months, the wall is still almost entirely transparent, making the views available still. 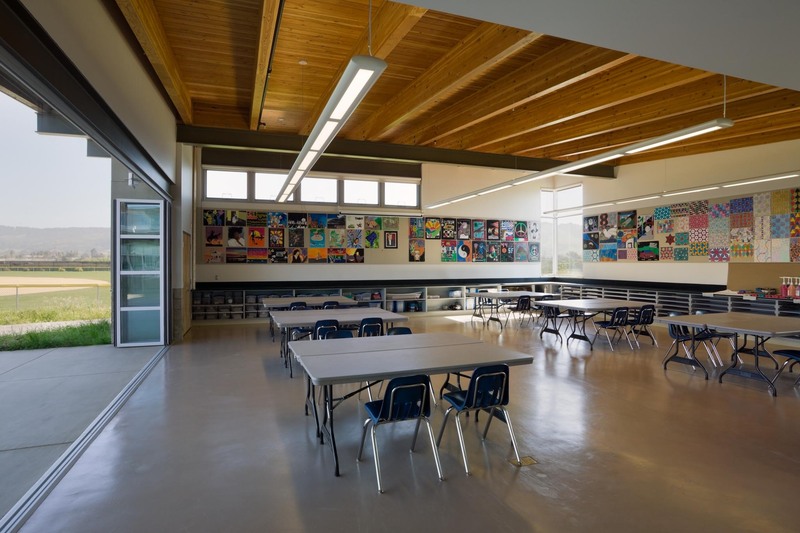 The thermally broken NanaWall design provides a high level of insulative value, as well, helping the high school to achieve its current status as a model of sustainable, passive-energy design. "The NanaWall system takes advantage of a fine climate much of the year and accommodates groups of 100 or more children for popular story hours. 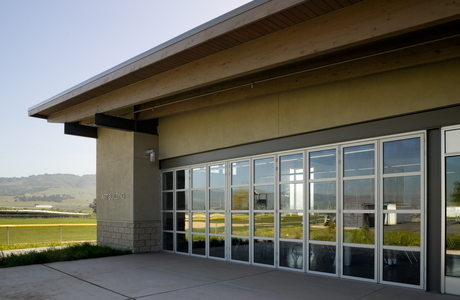 The south orientation is dealt with by the use of low-e glass."